During wintertime, you need a gas furnace to radiate warmth. If you are looking for comfort, performance and efficiency, Amana gas furnaces are for you. They are engineered for cozy warmth and savings. Amana heat pump systems cool your home in summer and heat your home during winter for convenient indoor comfort. They present a reliable and efficient solution for heating and cooling. The air handlers by Amana carry freshly conditioned air to your whole house. 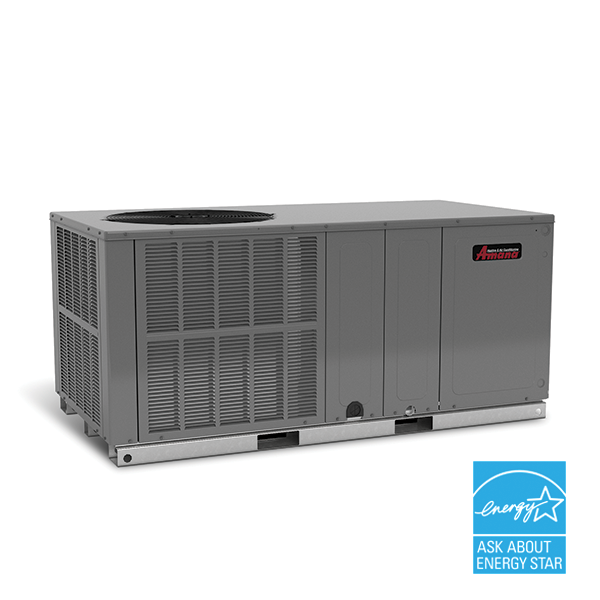 When properly paired with a heat pump or air conditioner, air handlers assist in maximizing the overall efficiency of your HVAC system. Maximize the efficiency of two machines in one HVAC packaged system by Amana. These packaged systems are ideal for homes that only have a single cabinet with limited space for a split system. Operated remotely, Amana thermostats and controls can manage your energy use, adjust temperature and humidity levels, lock and unlock doors, turn on and off lights, and check your security cameras! Take control of the air in your home. If you’re overdue for healthy, clean air in your home, add an Amana filtration or purification system, humidifier or dehumidifier, or balanced ventilation. Amana ductless systems are designed for spaces that are not connected to central heating and cooling. These energy efficient units offer an inexpensive and flexible solution for zoned heating and cooling with no ductwork required.